Ever since the now infamous E3 2005 Killzone 2 trailer, the developers at Guerrilla Games have been under the gun to deliver something spectacular. This week, the long waited four-years-in-the-making game hits store shelves. Legions of PS3 owners are very much excited to get the game. The hopes and dreams of many are pinned on the title! Guerrilla Games' Steven Ter Heide describes the pressure: "It's a bit of a blessing and a curse at the same time. What can I say about it? It's good to be such an anticipated title. Certainly there's a lot of enthusiasm out there. But it can be difficult at the same time, because you have to ignore it at times and not get too involved, and just get on with making the game we want to make and that hopefully will live up to everybody's expectations — no matter how unrealistic those expectations are." Steven Ter Heide, keepin' it real. 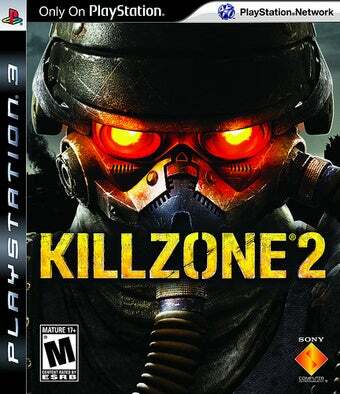 First-person-shooter Killzone 2 goes on sale this Friday.